United States House Speaker Paul Ryan has said the FBI has agreed to hand over the controversial dossier that alleged ties between Russia and U.S. President Donald Trump's presidential campaign. 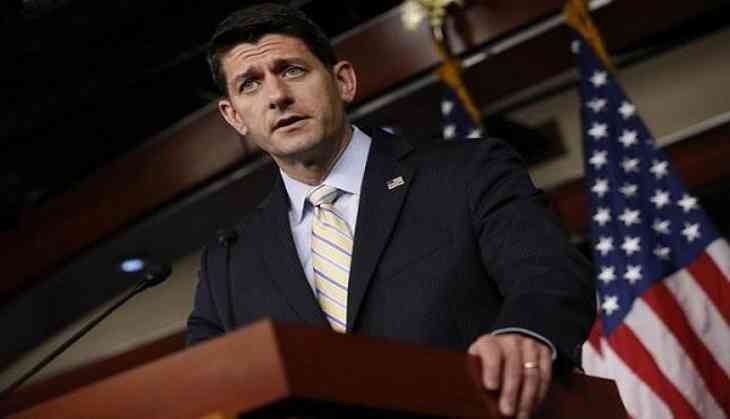 "The FBI got in touch with us yesterday afternoon, and they have informed us that they will comply with our document requests, and that they will provide the documents Congress has been asking for by next week," Ryan was quoted as saying by The Hill, at his weekly news conference, adding that the FBI is expected to honor the commitment. This comes after President Trump raised doubt over FBI having a hand in creating the dossier. House Intelligence Committee had been seeking the documents for months, in attempts to explore bureau's relationship to the dossier's author, a former British spy named Christopher Steele, and verify allegations regarding the use of those documents by FBI in probing ties between Russia and the Trump campaign. In August, Intelligence Chairman Devin Nunes had asked the federal investigators to hand over the dossier by this Friday. Recent reports said the controversial dossier was bankrolled by Marc Elias, a lawyer representing the Democratic National Committee (DNC) and the Clinton campaign, and a political consulting firm was paid in millions for hiring Steele to furnish information of Trump's alleged connections to Russia.